Christmas time and celebrations are getting closer and it is the right time to plan the preparations. It is early to initiate Christmas decorations and so making your Christmas centerpieces is a fun and creative activity that gives an opportunity to include the entire family. 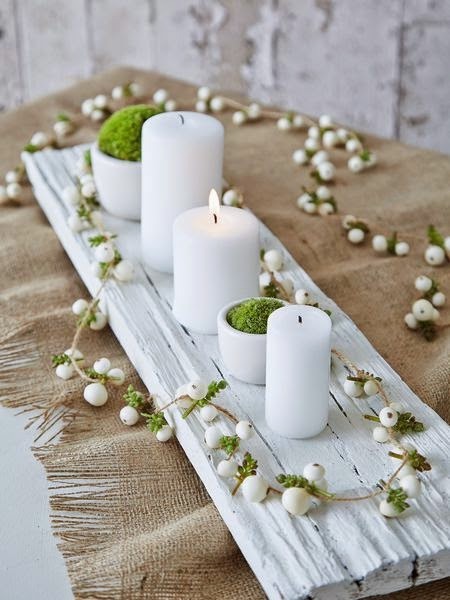 Here are few ideas to make great centerpieces for the festival. Christmas time is the ideal time to have fun and to involve in creative activities. The preparations include baking, cooking and making candies. However, the Christmas centerpieces are also fun activities. A magical feeling is felt when you have kids to join hands in this creativity. They will love to decorate the house and you can see the pride shining in their eyes when the centerpiece is presented on the table. Christmas Centerpieces should reflect the Christmas spirit. It is good to consider other facts than just the viewing factor or the appealing look fact. Consider centerpieces that have items awakening the senses of smell and taste with fragrance and does not harm the environment. In this way you can be eco-friendly. Make your own decorations and the best is to start early. Begin collecting items for decorations from the nature such as pine, cones, cranberries, nuts and other typical items to be rightly used at Christmas time for decorations. The advantage is that they are easily available and can be collected early. Thus you have time to dry them and prepare it as ornaments for the Christmas festival. You can use dried spices and fruits also in decoration. In fact dried citrus fruits spread holiday spirit and natural aroma around the house. Choose classic solutions including religious value and make your centerpiece beautiful with candles and ball ornaments. This makes a beautiful combination as the ball ornaments appear shiny and bright in the candle light. Add few evergreens and sprinkle glitter to make the most beautiful Christmas centerpieces decoration.